While you control 2 or fewer heroes, attached hero does not exhaust to commit to the quest. While you control 5 or fewer characters, attached hero gets +2 . 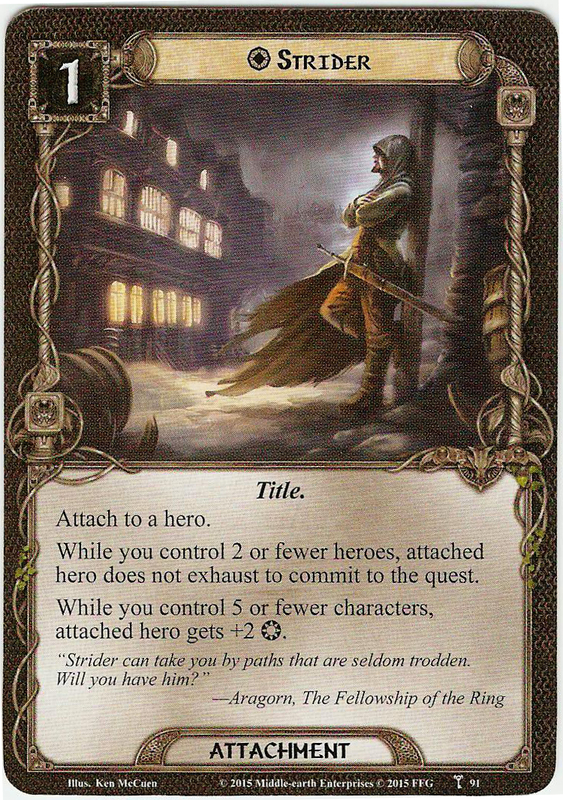 "Strider can take you by paths that are seldom tridden. Will you have him?"